Open to all, Knit & Natter is an informal gathering of those who enjoy knitting, crocheting, drinking coffee (or tea!) and/or, of course, nattering. at the Eatery, Saxon Way, Great Denham. 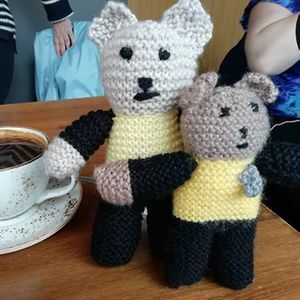 There is no charge to come along to Knit & Natter but, out of respect for our hosts, the Eatery, please come along prepared to buy yourself a drink.